In the everything flows and steady go of the world. In this brief, intimate lyric, Heaney observes a balance of movement and stasis in the natural world. An imagery of incessant activity–the alders’ reflections, the river’s current–is countered by an image of stability: the dozing perch, suspended between the “river-roof” and the river’s bottom. And, like the perch “holding the pass,” the poem’s off-rhymed couplets (river/waver; ready/body) create a succession of fixed but permeable forms, through which the long, sinuous sentence flows. In the presence of these balanced forces, natural and literary, the narrator summons a fondly remembered experience to present awareness. * Shohaku Okumura, Living By Vow: A Practical Introduction to Eight Essential Zen Chants and Texts (Wisdom, 2012), Kindle edition, locations 3910, 1293, 1598, 3861. Okumura, Realizing Genjokoan (Wisdom, 2010), 1261. Thank you for this post. It calls to mind a book by Kenneth Yasuda on the Japanese Haiku in which he talks about “haiku attitude:” “This haiku attitude is a readiness for an experience for its own sake…A poet…when he is being a poet…cannot interject anything of his personal or egoistic needs between himself and the experience.” Unfortunately, this is not always the practice in modern western poetry. 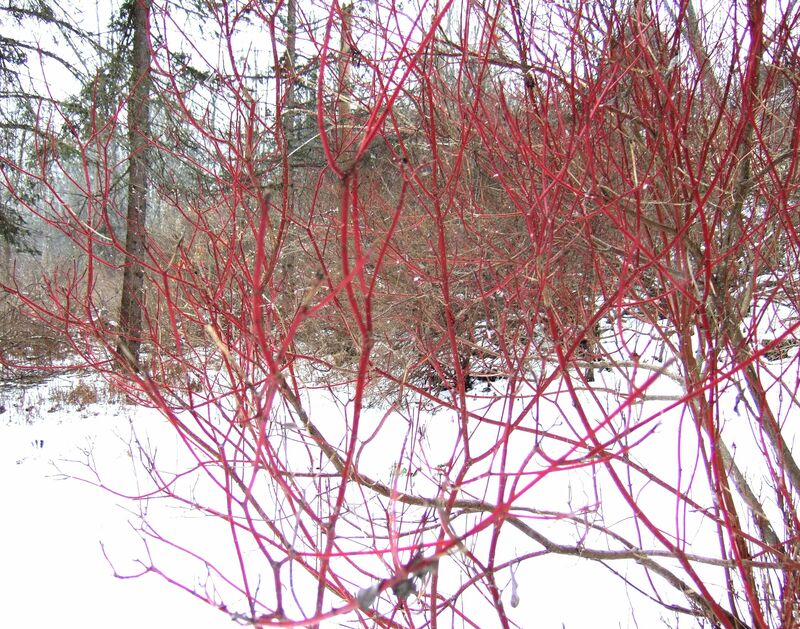 The next experience I hope to have is with buying me some Red Twig Dogwood for my yard! Thanks for your comment. Perhaps you’re familiar with Seamus Heaney’s essay on Elizabeth Bishop, in which he praises her poem “The Sandpiper,” which in Heaney’s reading engenders a “renewed awareness” of the “mysterious otherness of the world.” Bishop is another Western poet who embodies the “haiku attitude.” Still another is Hayden Carruth, especially in his later poems. One caution: deer love Red Twig Dogwoods. I use a plant-based repellent to discourage them, but it’s a never-ending struggle. Regarding dogwood, does Muntjac deer count (http://en.wikipedia.org/wiki/Muntjac). The only kind we have around here!